Pleated blinds combine flexibility with practicality to create a lightweight blind solution which creates a soft ambience in any room by gently filtering light. Ideal for conservatories and rooms receiving direct sunlight or just needing some softening up pleated blinds can be used to creating a relaxed feel. They are also ideal for fitting close to windows, creating a clean uncluttered look and freeing up space on window sills. Pleated blinds come in two forms, free hanging or roof fitted ideal for Velux windows and conservatory roofs. Pleated blinds have innovative Masterpleat technology which is designed to stop gravity pulling out the pleats. The INTU® blinds system, developed by Eclipse, uses a patented bracked system that clips-in behind the window bead, meaning that no drilling or screws are required and your window frame remains intact as originally installed. Our pleated blinds can be used on roofs, windows, doors and french doors and are perfect for shaped spaces as well as uniform openings. They are also perfect for uPVC windows as no drilling is required during installation. For a full range of pleated blinds, contact us for a home visit when we can bring along our samples for you to browse through with no obligation. 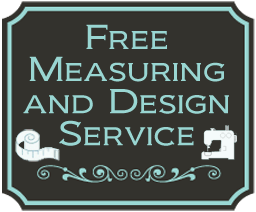 We provide professional installation with free measuring and fitting on all blinds.